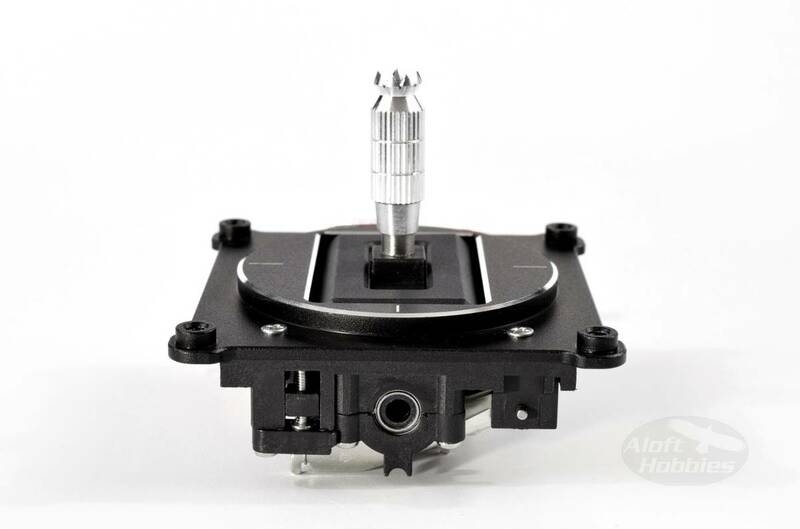 The M9 Hall Effect Gimbal for the Taranis and Taranis Plus. 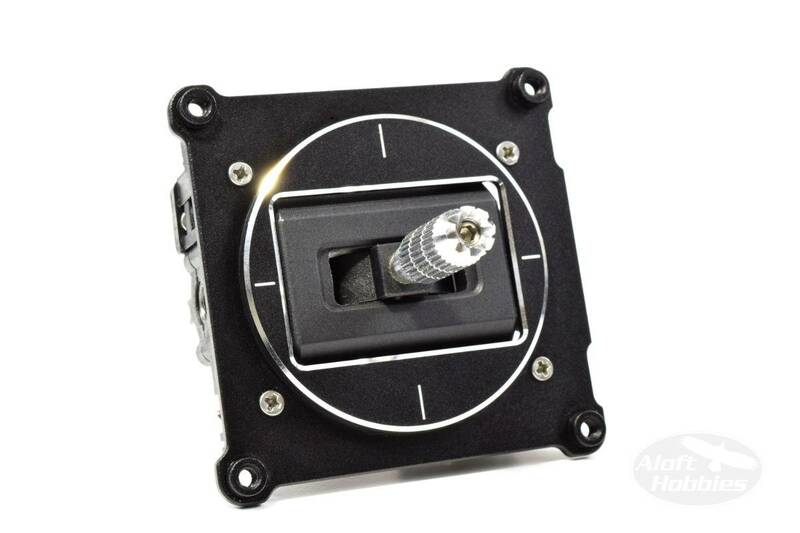 FrySky has responded to the issues surrounding the stock Taranis gimbal by designing a new gimbal that employs hall effect sensors rather than potentiometers. The new gimbal sports a nicely machined aluminum faceplate that is reminiscent of the Horus gimbal. It retains the metal cross bars; the X/Y axes ride on 4 ball bearings and have adjustable spring tensioners and throttle ratchets. 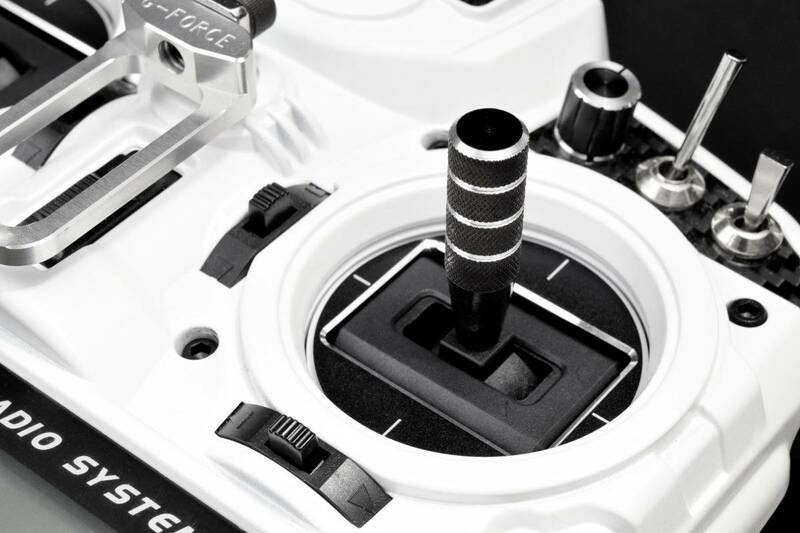 The gimbal is designed with crossbar lock outs for both axes, if you need to do a custom setup or setup a gimbal for throttle duty. The M-9 also has been designed with a hollow stick allowing the use of switched stick ends or some other contrivance of joyful convenience. The gimbals are plug and play, no need to cut wires and add or change plugs. Sold individually.